KANTHAL resistive wire is available at our online store. See prices and availability. Thermansys being Kanthal’s Local Partner in Greece has undertaken the commercial promotion and technical support of its products. The Kanthal brand belongs to Sandvik Materials Technology, a business area within the Sandvik group. 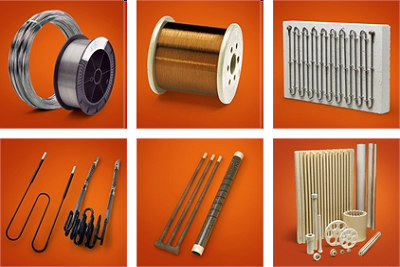 Kanthal is a world-leader for products and services in the area of industrial heating technology and resistance materials. Based on a long tradition of innovation and R&D, Kanthal products are used in a variety of applications primarily for generation, measurement and control of heat. Kanthal name is synonymous with quality and reliability. The long service life and consistent performance of Kanthal electric heating elements will provide you with the highest efficiency at the lowest long-term cost. Thermansys, wanted to produce only the highest quality products, chooses and trusts Kanthal products, using exclusively Kanthal resistors and heaters as primary material for the production of its own furnaces. Within this involvement a high degree of expertise developed concerning the operation, the potential uses and the properties of these materials. Thermansys has the potential to undertake both sales and technical support as also consulting services related with your custom heating systems development.